Oil traded below $69 a barrel as investors tried to gauge demand growth in the world’s biggest economy following conflicting data on US stockpiles. Futures in New York were little changed on Thursday after rebounding 1% in the previous session from a 1.5% drop. Prices have been wavering after government data showed a surprise gain in nationwide crude inventories, while gasoline held in US storage tanks dropped by the most since May on the back of robust fuel demand. Meanwhile, an OPEC committee meeting provided little insight on how output quotas will be split between the group. Oil has lost about 7% this month over concern an escalating trade conflict between the US and China could jeopardise global economic growth and energy demand. While worries remain over potential supply losses in Venezuela and Iran as well as sporadic disruptions in Libya, investors are waiting to see how an agreement reached last month by the Organisation of Petroleum Exporting Countries and its allied producers to raise output will impact global oil supplies. “Refinery utilization rates in the US have been kept at almost full capacity and it will gradually fall with planned maintenance, which will lead to a build-up in overall crude stockpiles, while gasoline and distillate inventories shrink,” Lim Jaekyun, a commodities analyst at KB Securities, said by phone in Seoul. West Texas Intermediate crude for August delivery, which expires on Friday, traded at $68.68 a barrel on the New York Mercantile Exchange, down 8 cents, at 08:51 in London. The contract added 68 cents to $68.76 on Wednesday. Total volume traded was about 46% below the 100-day average. The more-active September contract was down 9c to $67.66 a barrel. Brent for September settlement traded at $72.77 a barrel on the London-based ICE Futures Europe exchange, down 13c. Prices rose 74c on Wednesday to close at $72.90. The global benchmark traded at a $5.06 premium to WTI for the same month. The Brent market continues to show signs of weakness, with front-month futures trading at a discount to its second-month contract. Futures for September delivery gained 1% to 486.4 yuan a barrel on the Shanghai International Energy Exchange, after gaining 0.5% on Wednesday. 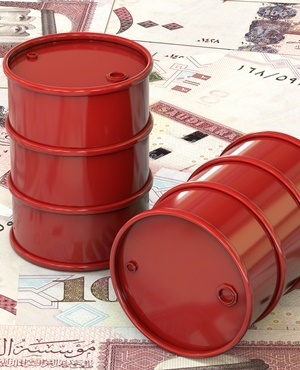 The Energy Information Administration reported US crude inventories rose by 5.84 million barrels last week, confounding most analysts in a Bloomberg survey who were forecasting a decline. Along with falling refinery utilisation rates, shrinking crude exports, which had dropped last week to the lowest level since April, also contributed to the inventory build. While Saudi Arabia and Russia pledged last month that OPEC would soon decide how to distribute a collective output boost of about 1 million barrels a day, the committee didn’t give a recommendation on how they should share out the planned increase during its meeting on Wednesday. OPEC’s committee said in a statement later that compliance was 121% in June, and that it was satisfied that overall performance “will not deviate from the 100% conformity” targeted in the deal reached June 23. Saudi Arabia, the group’s de facto leader and the biggest producer, said its output would be slightly higher this month than in June, according to people familiar with the matter. • OPEC is consulting with lawyers to prepare a strategy to defend against proposed US legislation that could open the cartel up to antitrust lawsuits, according to people familiar with the matter. • The EIA also said America’s domestic oil production climbed to 11 million barrels a day last week, the highest level in the weekly data compiled since 1983.